Bluegrass banjo fans will remember that in 2008, Eddie Adcock went in for his first brain surgery to correct a condition that was impacting his playing. Since that time, he has gone in for additional surgeries to maintain his deep brain stimulation surgery. A battery powered device was installed and it is possible that the battery needs attention. Los Angeles, CA -- Banjo player extraordinaire Eddie Adcock is the 2014 recipient of the 5th annual Steve Martin Prize for Excellence in Banjo and Bluegrass, it was announced today in The New York Times. Adcock has been one of bluegrass music's most revolutionary performers for over fifty years. 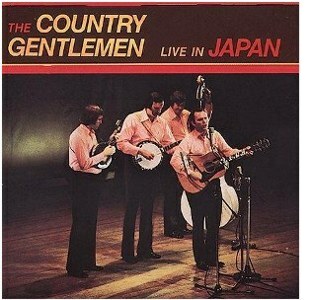 He cut his musical teeth with Bill Monroe and Mac Wiseman, and played in the groundbreaking group The Country Gentlemen, one of the most popular and progressive bluegrass bands of the late '50s and '60s. The Gentlemen of Bluegrass is proud and excited to announce that they will be playing several gigs this year with Bluegrass Hall of Famers, Eddie Adcock and Tom Gray. The Gentlemen of Bluegrass is a relatively new group to appear on the bluegrass scene. The Gentlemen, based within the Carolinas, are noted for their close harmonies and resonant leads in the style of Charlie Waller, John Starling, Jim Eanes, and Jim Reeves. 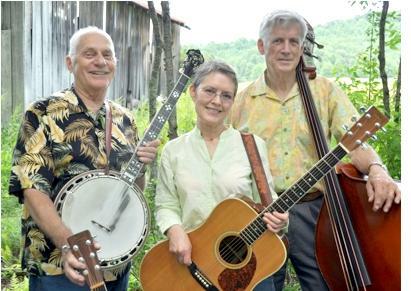 "TwoGrass" duo Eddie & Martha joins with longtime friends Tom Gray, Gene Johnson and Missy Raines to offer a peek here into some of the songs that resurrected bluegrass music in the mid-20th century. Many A Mile is composed of an award winning all-star lineup featuring Eddie Adcock (banjo & vocals), Martha Adcock (guitar & vocals), Tom Gray (bass), Gene Johnson (mandolin & vocals), Missy Raines (bass), Wes Easter (vocals) and Pete Kuykendall (vocals).